Down Syndrome Foundation serves learners, and their families and educators in the Southern California area, at our Learning Center in Irvine, CA. Click here for our local services. We also serve our local and broader community through LP Online, our online platform. Click here for details. 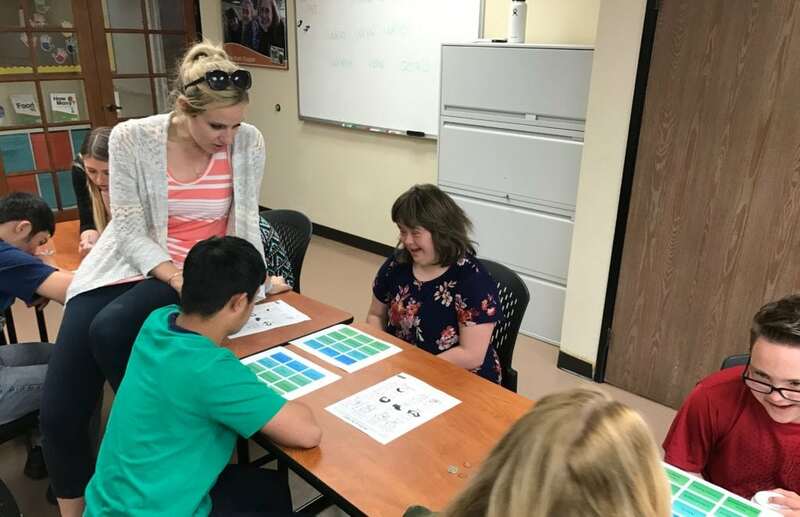 DSF collaborates with other Down syndrome organizations to assist and support them in developing Learning Program models that fit the needs of their members. DSF's partnership with the above-mentioned Down syndrome organizations is limited to supporting them in the delivery of The Learning Program. DSF's partnership does not constitute agreement with or endorsement of any organization's program, service or activity beyond the scope of The Learning Program. GDSF is dedicated to significantly improving the lives of people with Down syndrome through research, medical care, education and advocacy. The mission of DSEI is to improve developmental and educational outcomes for children with Down syndrome by focusing on delivering measurable improvements in speech and language, reading and literacy, number and maths skills, memory and cognition, social development and educational attainment. Working in partnership with DSEI, DSE USA shares the same mission, to improve developmental and educational outcomes for children with Down syndrome.